Home to the Northern Lights and the Midnight Sun, Tromso, Norway is the gateway to the Arctic. We visited Tromso for the first time at the end of August, and were wowed not only by the natural attractions in the region but also by the city itself. Tromso’s got nature, culture, art, and nightlife all wrapped up in one pretty (literally) package. And Tromso’s city center is also incredibly accessible. Which makes it a great place for everyone to visit. We created this Tromso accessible travel guide in collaboration with Visit Tromsø! to help all types of visitors to Tromso get the most out of their trip. We’ve included recommendations for and accessibility information about a ton of things to do in Tromso, excursions, hotels in Tromso, and transportation options. Tromso is in Northern Norway, north of the Arctic Circle at 69.6492° N. Tromso city center is located on Tromso Island (Tromsoya). It’s small and locals like to say it’s about the size of Manhattan. Tromso Island is connected to mainland Norway by Tromso Bridge and an undersea tunnel. The Tromso region also consists of other islands including Kvaloya and Sommaroy, which we also visited. The bigger islands are connected by bridges and are easy to travel between by car. The region is chock full of mountains and fjords. Due to its position and the Gulf Stream, Tromso is warmer than many other places at the same latitude, adding to its attractiveness as a tourist destination. Tromso also sees two unique, opposite phenomena: the Midnight Sun when the sun never sets (from 19 May to 21 July), and the Polar Night when the sun never rises (from 28 November to 14 January). It might seem daunting to visit during the dark days, but since Tromso also gets quite a bit of snow, that helps brighten things up. And of course that is also a great time to see the Northern Lights. The weather during the summer season can be finicky. We got lucky when we visited in August. It was fairly sunny during most of our visit, and only rained one evening. Tromso has a small airport just 5 km from the city center. Most international flights will connect in Oslo, although you can find direct flights from other cities in Europe depending on the season. For example, we flew direct from Gdansk on Wizz Air in August 2018. We learned quite a bit about the history of Tromso and Northern Norway from our friends at Visit Tromsø! and from our guide at the Tromso Museum. The city was founded in 1794, but the first people came to Tromso about 11,000 years ago. And the Sami people (an indigenous people with populations in Norway, Sweden, Finland, and Russia) have been in the area for over 3,000 years. For centuries, Tromso has held an important position for trade. At the turn of the 20th century, Tromso was becoming the center and jumping off point for hunting, research, and touristic expeditions to Arctic and Antarctic regions. Tromso city center is quite good in terms of accessibility. It’s pretty flat, the streets are well-paved and have good curb-cuts, and the harbor with its lovely views is easy to walk around. However, to get out of the center and to see the rest off the island (which is where you’ll see more of the magnificent landscape you’ve come to Norway for), you have to go up a very, very (very!) steep hill. Sarah didn’t want to try it with her lung disease and anyone with mobility issues will likely have difficulties. Fortunately, Tromso has a great public bus system. The bus took us everywhere we wanted to go and was easy to use. As we’ll discuss later, the buses in Tromso are wheelchair accessible. And there are also wheelchair-accessible taxis. It should be noted that we visited Tromso during summer. It was sunny and relatively warm. So accessibility in the city was at its peak. Of course, during the winter, Tromso gets a lot of snow and ice. The main sidewalks in the city center are heated during this time, so they should be clear. But other places on the island and surrounding will be more difficult to access. There are lot of things to do in Tromso, and many of them can be found right on Tromso Island or across Tromso Bridge on the mainland. We spent three days in Tromso and only scratched the surface. Fortunately, our friends at Visit Tromsø! gave us extensive information about most of the area’s attractions to help us write a comprehensive guide. Taking the Tromso Cable Car (Fjellheisen) up to Mt. Floya was one of our favorite things to do in Tromso. Hikers can walk all the way up to the top of Mt. Floya, but the cable car makes that journey possible for everyone (including wheelchair users, as you’ll read below). The cable car ride is only a few minutes, and you can feel your ears pop along the way. The cable car station at the top has a viewing platform and a restaurant. We peered out from the viewing platform, and then left the station to explore more outside. On the same level as the cable car station, there are quite a few different places from where you can see gorgeous, panoramic views of Tromso. If you want to get even higher, you can climb to the top of Mt. Floya. We didn’t do that, but it didn’t look like it would take too long or was too steep. The surroundings were just stunning, and there were reindeer! We were happy to see that the Tromso Cable Car is wheelchair accessible. Wheelchair users don’t need to arrange anything in advance, but will need a companion. The companion will need to walk into the cable car station, which has stairs, to purchase the tickets. They also might need to help you negotiate the cable car. If your companion has a companion card, they will receive free entrance. At the bottom, there is a ramp to get to the cable car. At the top station, there is an elevator lift. Only one of the cars can take wheelchairs, but if it’s at the top when you arrive, the staff will bring that car down to use so you won’t have to wait too long. Once at the top, there is an accessible platform from where you can enjoy the incredible views. Everyone can get right up to the edge of the platform, which has a fully clear barrier. If you want to go beyond the platform and see more of Mt. Floya, you should note that the ground is uneven, rocky, and steep in some places. Depending on your wheelchair and mobility level, it may not be possible. The Manager at Fjellheisen informed us that they are currently planning to rebuild the ground station and are taking customers’ accessibility needs into consideration as they do. There are three ways to get to the cable car from the Tromso city center. You can walk about 40 minutes over the bridge and up a steep hill. You can take the bus, but it’s actually two buses and you need two single tickets unless you have a day pass. The cable car is just a couple blocks from the bus stop, but up a hill. You can take a taxi. If you’re traveling in a wheelchair, this is the easiest option as it will get you closest to the entrance. The cable car runs every half hour up and down until late into the evening (times differ based on the season). For current ticket prices, hours, and additional information, visit the Fjellheisen website. The Arctic Cathedral is a iconic landmark in Tromso. From Tromso Island, you can see it across the water, gleaming in the sunlight or lit up in the dark. It’s quite striking. It was built in the 1960s and the design was inspired by the small island called Haja. We loved seeing both in person to compare the resemblance. Though its most remarkable feature is its design, the church also has beautiful stained glass windows inside. The Arctic Cathedral is located on the mainland, across the bridge from Tromso Island, so it would make sense to combine it with a visit to the Fjellheisen. The church is wheelchair accessible with access ramps and wheelchair spaces inside the church. The Tromso Museum is outside the immediate city center, but worth the 15-minute bus ride. It’s part of the Tromso University Museum, which is the oldest scientific institution in Northern Norway having been established in the late 19th century. The Tromso Museum is a wonderful museum for children as well as adults. It covers a lot of different topics including evolution of species, the Northern Lights, and Sami culture. The museum is wheelchair accessible with an elevator leading to all floors. Some of the exhibits are multimedia and have different components to engage different types of visitors. They also have portable chairs available for those who might want to sit down during their visit. You can see entry fees and more information at the Tromso Museum website. If you have the opportunity to take a tour, we highly recommend it as we learned so much history about both Tromso and Northern Norway. We also learned how much the Tromso University Museum has done to help people understand environmental issues in the area, which was especially interesting. The Northern Norway Art Museum is located in the city center. It presents contemporary and historical art, mostly in temporary exhibitions. We especially liked an exhibit of embroidered art by a Sami artist, Britta Marakatt-Labba. The museum is wheelchair accessible with a ramp leading up to the entrance and elevators to all floors. Entry is free. You can learn more about their current exhibitions at their website. The Polar Museum is also part of the Tromso University Museum. It’s located in the city center, right on the Tromso Harbor. It is not wheelchair accessible, as it is located in an old building that has many small stairways. It’s spread across a few floors, but the stairways are not that tall. It wasn’t difficult for Sarah to navigate. The Polar Museum tells the story of polar expeditions in Northern Norway, including the famous first expedition to the South Pole led by the Norwegian explorer Roald Amundsen. It also has extensive exhibitions about seal hunting and winter trapping. You can check entry fees at their website. Note, as of winter 2018, the museum is closed as they are currently undergoing construction. Tromsø IL (TIL) is the northernmost top division football team in the world. Alfheim Stadium is surrounded by mountains, so you can enjoy some pretty spectacular scenery while watching a match. It was a bit grey the evening we went there, but we still thought it was a pretty special place. The atmosphere was lively and fun and it definitely felt like a great community club. The stadium has a lift and nine seats available for wheelchair users. There are also two wheelchair accessible toilets. To go to a TIL match, you can buy tickets online, buy them at the Aurora Movie Theater, or buy them at the stadium on match days from 15.00 until half-time. To buy wheelchair seats, you can go to the stadium or reserve tickets in advance by emailing them here. The Northern Norway Science Centre is located a bit outside the city center, but is accessible by bus. It has a planetarium and a film about the Northern Lights. The museum is wheelchair accessible with a lift between floors. You can see entry prices and learn more at their website. Polaria is mainly an aquarium, but also has educational films about climate change and the arctic. It’s located a short walk from the main city center. The building itself is quite cool (we walked to go see it from the outside) – it was designed to look like ice floes. Polaria is wheelchair accessible except for the playground area. You can learn more about entry prices and the museum at the Polaria website. The Perspektiv Museum is located right in the city center. It features photography about the diversity of Tromso. The ground floor is wheelchair accessible but there is no lift to the second floor. Entry is free. You can learn more about the Perspektiv Museum here. We love botanic gardens, and the Tromso Botanic Garden’s collection of arctic and alpine species sounds really interesting. It’s located a short bus ride from the city center and entry is free. The main paths within the garden are most likely wheelchair accessible (they are wide, though a bit gravelly). You can learn more about the Botanic Garden here. Note, we unfortunately did not have time to visit the above four attractions on this trip. We thank Visit Tromso! for providing us with information about their accessibility. We really enjoyed the walks we took around Tromso Island. We didn’t want to carry Sarah’s supplemental oxygen around with us, so we kept to pretty flat terrain. Here are our favorite walks in Tromso and some information about their accessibility levels. Our favorite walk in Tromso was around Prestvannet Lake. It’s not too far from the city center, but it’s up quite a big hill, so we took the bus. Bus 40 let us out just a few feet from the path. The path is fairly wooded until you get to a clearing where you see the lake. It’s beautiful and surrounded by mountain peaks, which you might not expect to see since you’re not at such a high elevation, and since the path itself is pretty flat. The path is not paved and there are some small ups and downs as well as roots and rocks. We didn’t see anyone in a wheelchair on the path, although we did see someone with a stroller. Depending on the type of wheelchair you have, it may be difficult to navigate. The walk was easy for Sarah. The entire walk around the lake takes about a half hour. There are a few places to stop and rest either on benches or picnic areas. And there are lots of people out with dogs, which is always fun to see. Also on the top of Tromso Island is a winter ski path that can be walked (or rolled) over during the summer months. We decided to continue onto the Lysløypa path after our walk around Prestvannet Lake. It crosses over much of the island and offers some lovely wooded walks as well as some nice viewpoints. It’s a gravel road but is quite wide. Most of it’s flat, although there were some hilly parts with steeper, longer gradients. The path ends near Telegrafbukta beach, which is a well-known viewpoint on Tromso. We ended up turning inland instead of going there, but if you do end up at Telegrafbukta, you could take the bus back to the city center. One can walk along the water in Tromso from the city center out. We walked from our the Polar Museum to Polaria and had some really awesome views along the way. It’s completely flat and easy to navigate. It took about a half hour with stops for pictures. Tromso Bridge is a beautiful bridge that is a major part of the Tromso landscape, especially when viewed from the harbor. It connects Tromso Island to the mainland. It is quite long (it was in fact the longest bridge in Northern Europe when it was opened in 1960), and we were a bit intimidated to cross on foot. But we’re glad we made the journey. We crossed from the Arctic Cathedral back over to the city center. It looked steeper than it felt while walking. We were afraid Sarah might have some difficulties, but she didn’t feel the incline. She did, however, feel the wind! The walkway is well-paved but incredibly windy. We’re pretty sure you can cross the bridge in a wheelchair, but didn’t see anyone doing so while we were there to confirm. Norway has some of the most beautiful landscape we’ve ever seen, and Tromso in particular is known for great outdoor adventures. It’s a hot spot for Northern Lights viewing, dog sledding, and whale watching. Of course, we visited at the end of summer when none of those things were available to us, but we did thoroughly enjoy seeing the fjords and other gorgeous scenery. We booked the Arctic Booking fjord tour by minibus because we wanted to see more of the region’s landscape. It was exactly what we were looking for and would be perfect for people with mobility limitations but who aren’t restricted to a wheelchair. Our driver took us on a six hour tour around different islands surrounding Tromso. We saw the most gorgeous fjords, fishing villages, beaches, grass-roofed huts, shipwrecks, ancient rock carvings, glass art, and so much more. And to top it all off, we ended by getting to cozy up to some huskies (see more below!). We visited Tromso Villmarkssenter at the end of our fjord tour. It actually wasn’t listed in the tour description, so it was just a super awesome surprise! It was definitely a highlight of our visit to Tromso because we got to spend time with hundreds of huskies! Tromso Villmarkssenter is a premier dog sledding company in Tromso. During the winter, they offer dog sledding and Northern Lights tours, but there are opportunities to hang with the dogs during the summer season too. You can just visit (and pet and play and fall in love) with them for free, or you can go on a hike with them. We so enjoyed our time with the dogs at Tromso Villmarkssenter that we contacted them to learn more about their offerings for people with accessibility issues. They are happy to do what they can to adapt their tours for people in wheelchairs or with other mobility issues. They have access to different wheelchair-accessible vehicles, they can use a sled or snowmobile to help people access the dog yard or other parts of the tours, and they have a wheelchair-accessible toilet in their conference center. For people who depend on caretakers, they also offer free spots for one additional person. They encourage people to contact them directly to learn more about which tours can be adapted based on your specific needs. You can learn more on the Tromso Villmarkssenter website. Though many of the tours in the Tromso area can accommodate wheelchair users, most require guests to be able to sit in a normal seat (and their wheelchair will be stored). If you are able to do this, you have a wide variety of options from Northern Lights tours to boat trips to dog sledding. If this is not possible, there are still quite a few options of tours. Arctic Explorer Catamaran can accommodate wheelchair users and has a wheelchair-accessible toilet on board. Green Gold of Norway can accommodate wheelchairs in their Crystal Lavvo aurora overnight stays. Guide Gunnar offers a private aurora tour that can accommodate up to two wheelchair users. Polar Park is accessible to wheelchair users however if you cannot sit in a normal seat, you must arrange your own transportation to the park instead of the organized bus trip. If you are able to take the bus, please note that it is 3 km from the bus parking lot to the park and if there is snow on the road, it is not accessible. Soroya Havfiske Cruise can accommodate wheelchair users but they must have a companion/assistant. Tromso Budget Tours can accommodate wheelchair users but must be given advance notice. Tromso Arctic Reindeers can accommodate private groups including wheelchair users. You read more about or book these and other tours on the Visit Tromso! website. As we mentioned above, many more of the tours may be available to wheelchair users depending on your level of mobility. In all cases, we encourage you to contact the tour operators directly to confirm your needs and see what they can do for you. And if you have any issues finding what you need, contact Visit Tromso! – they are happy to help as well. Tromso has an extensive bus system that covers quite a bit of Tromso Island and the immediate surroundings. This is great since things get pretty hilly once you get outside the small city center. All public buses are wheelchair accessible with low entryways and ramps. During winter, snow and ice might make it difficult for buses to lower their ramps on all streets. As we mentioned above, traveling in Tromso during the winter will likely be more difficult than doing so during warmer months. Hopefully we’ll have the opportunity to return to Tromso and see what it’s like ourselves! Two bus lines (40 and 42) run between the airport and Tromso city center. The bus stop is just beyond the airport parking, down a small hill. You can purchase a bus ticket on board the bus with cash or at a kiosk. This is the most expensive option. You can use the TromsReise app, which also offers cheaper fares. We used the app upon arrival at the Tromso airport. If you want to do this, we recommend downloading and registering for the app prior to arrival. They need to verify your credit card. Also, when you the ticket, the app will send you a text message, so you’ll need a working phone number during your visit. You can purchase cheaper bus tickets in advance at various sellers in the city. You can purchase single tickets, day tickets, or seven day tickets. The list of kiosk and advance ticket seller locations, as well as the latest ticket prices, can be found here on the Tromskortet website. They also have a timetable to help you plan your bus trips. Two local Tromso taxi companies can accommodate wheelchair users. However, they must be arranged in advance. Both companies can be contacted by phone or email and contact information is available on their websites. Tromsø Taxi can accommodate up to three wheelchairs per car. Din Taxi provides tours in addition to transport. Speed ferries and some slower ferries can accommodate wheelchair users. You must enter via the car deck where there is a lift. Since Norway is an expensive country, we like to stay in accommodations that provide food or cooking facilities. There are many options in Tromso, and many hotels in Tromso are wheelchair accessible. We did not personally examine the wheelchair-accessible hotels and rooms listed here, so you might want to contact the hotel directly to discuss your needs. Clarion Hotel The Edge is one of the leading hotels in Norway for accessibility. The hotel’s public spaces are wheelchair accessible, they have many wheelchair-accessible rooms, and there are guides and signs on floors and walls for visually-impaired guests. Our preferred chain when traveling in Norway is Clarion Collection as meals are included in the room rate. In Tromso, we stayed at the Clarion Collection Hotel With. We really enjoyed our stay there, but cannot recommend it as an accessible hotel. However, the Clarion Collection Hotel Aurora (located next to the With) has four rooms available for wheelchair users. Check availability and rates for Clarion hotels in Tromso now! All of the hotels listed below claim that their public spaces and facilities are wheelchair accessible. In some cases it is possible to borrow assistive devices (eg, hoist, shower chair) from the hotel or Tromso municipality. Elisabethsenteret has four wheelchair-accessible rooms and an accessible pool. Radisson Blu has four wheelchair-accessible rooms. Scandic Ishavshotel has seven wheelchair-accessible rooms, including three junior suites. Scandic Grand has two wheelchair-accessible rooms. Smart Hotel has three wheelchair-accessible rooms. There are also some accessible options if you are looking to stay outside Tromso city center or go camping. Laukelines Kystferie rents cabins on Kvaloya. The accommodations are somewhat, but not fully accessible: guests would need to have some mobility and the help of a companion. Skittenelv Camping is an RV park located on the mainland about 30 minutes from Tromso. They have wheelchair-accessible toilet and bathing facilities. Sommaroy Arctic Hotel, located on Sommaroy (a little under an hour from Tromso) has wheelchair-accessible rooms. This post was written in collaboration with and with support from Visit Tromsø! We were provided with bus passes, complementary access to Tromso’s museums, and entrance to Fjellheisen. Tromsø IL also generously provided us with tickets to the football match. While some of the information presented was gathered in conjunction with Visit Tromsø!, all opinions are our own. This entry was posted in Accessible travel, Destinations and tagged Europe. What a great and super thorough guide! I really appreciate when travel bloggers write about how accessible a destination is. I have a chronic illness and some days I can do the more strenuous hikes and climbs, etc., but some days I really can’t. It’s great to know ahead of time what my options are! I’m filing this away for when I finally make it to Norway. We’re so glad you found the guide helpful! Thanks for the positive feedback. I have only been to Norway when I was very young, this makes me want to revisit it with all the beautiful landscape (beautiful pictures BTW). Tromso Island especially looks just stunning! Can’t wait to plan my trip! Thank you for the kind comment. Yes, Norway is gorgeous, and Northern Norway and Tromso especially so! I’ve been dreaming of going to Tromso to see the northern lights for years now! That’s how we felt! We loved Oslo, but has been especially great to get out into the beautiful landscape of Northern Norway. So glad you enjoyed the guide – especially meaningful coming from a Norway native! We did have a wonderful time and would love to return to see the Northern Lights and go dog sledding. Oh wow Tromso looks beautiful! I’ve never been to Norway but it’s definitely on my list now. I would especially love to see the Northern Lights and go dog sledding so perhaps I’ll brave a trip in winter … Also awesome o see a blog about accessible travel, I love when people put no limits on travel. Look forward to reading more! This is so useful! I want to visit Tromso and then head over to Lofoten. I am saving this for my trip planning! The cable car looks like fantastic views. Does it run in the winter? That sounds like a fantastic trip. Yes the cable car runs during the winter – the hours are just a bit shorter and there’s a chance they aren’t open due to the weather. WOW! How beautiful! And there are reindeer?! I’m sold. Haha. The art museum looks very interesting as well. Yes it was absolutely stunning. We saw a few reindeer which was super cool. I’ve never been to Norway, but it’s definitely on my list of places I’d like to go to someday! I’d love to check out the botanic garden, and that lake is so beautiful! We’d love to go back to see more of what we didn’t this time too – especially the Botanic Garden! Thank you for this guide! My daughter (15) has a chronic lung disease also and she has created a bucket list of all of the things that she wants to do. Her first wish is to go to Norway. 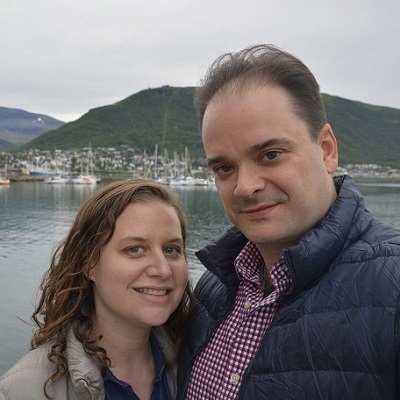 We are currently planning the trip, and while we are not planning on going to Tromso, it was still nice to see your take on one Norwegian city. I am wondering about obtaining oxygen while in Norway. My daughter will need oxygen tanks as the POC does not provide enough liters per minute. Did you have to go through a company in Norway to meet your oxygen needs while you were there? Thank you for your comment. We’re glad you found the guide inspiring as you plan your trip to Norway. Sarah’s POC meets her oxygen needs, so we have not rented oxygen in Norway ourselves. But we may be able to help and will contact you directly to discuss. You may also find this post helpful about flying with oxygen.